Which materials do we need to create the best knitted garments? Functional, warm, versatile, lightweight ... knit pieces have a special space in our closet and are a must have for any season. Now that autumn is here, different materials are used to provide warmth to the season garment, although it's not the only quality we are looking for. It is also important to offer lightweight, comfortable and easy to maintain garments, so it is very important to choose the right material for each one. This high quality wool has many properties, but surely the most outstanding are its fineness (it doens't irritate the skin), its softness (silky touch) and its warmth. It is an easy to work and easy to mantain fiber. Thanks to it many different finishes can be obtained depending on the style of the garment. It is very common to combine wool with cotton or acrylic fibers to create new fabrics. Thanks to this technique, we can create more creative compositions in the fabric and it gives a lot more versatility in clothing. We look for the perfect proportion of each material to get more comfortable, elastic and lightweight garments without losing their quality. It is exceptional for its finesse and softness. In addition it's much warmer than conventional wool, and has a special shine that stays despite the washes. Another curious fact is , unlike the conventional wool, alpaca fiber does not contain lanolin, which makes it almost hypoallergenic and perfect for people sensitive to wool. 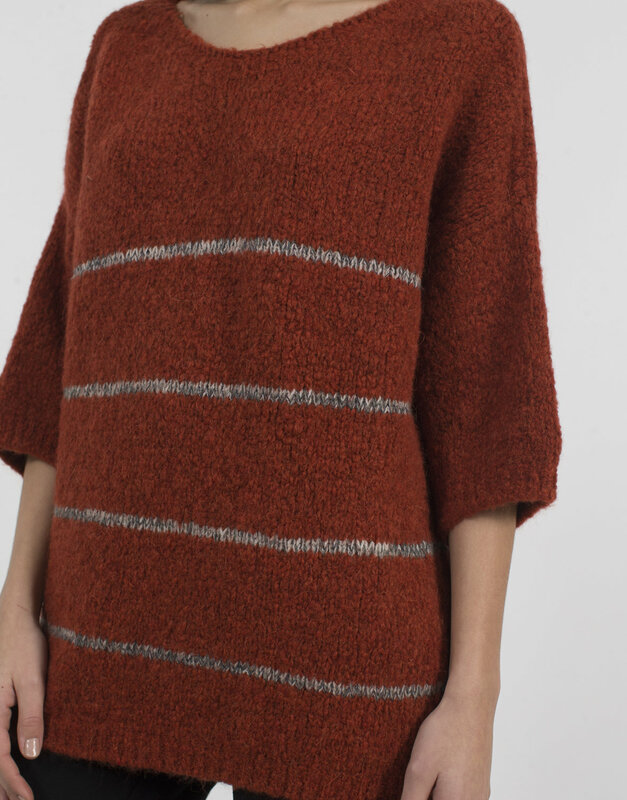 You will find alpaca wool in our most fluffy and warmest TRICOT DAYS garments. It can also be combined with merino wool or with synthetic fibers depending on the texture or elasticity that is sought at the time of making the fabric. Still have doubts about what type of wool do you like the most? The best solution is you to touch them, try and combine them in any of our Sita Murt / stores. Our experts will advise you on style and possible combinations and will give you all the details you need to know about your knitted garments.